Paulette R. Ellison-Manalis, age 57, of Milford, CT, beloved wife of Ioannis Manalis, passed away peacefully on February 10, 2019 in Bridgeport Hospital with her loving family by her side. Paulette was born on January 29, 1962 in Bridgeport, CT and was the daughter of the late Franklin H. Ellison, Jr. and Irene M. Stefura Ellison. Paulette was formerly employed by Frankie’s Diner in Bridgeport, CT and has waitressed at various diners all over Fairfield County. Paulette graduated from Harding High School, Bridgeport, CT and was an honorary “Presidettes” Mascot and excelled in Home Economics class. She was a loving, caring, spiritual and strong-willed individual, who lived for her children, was inspired when listening to music (Todd Rundgren, Brad Paisley), and enjoyed the company of her faithful dog, Snuggles “Baby”. 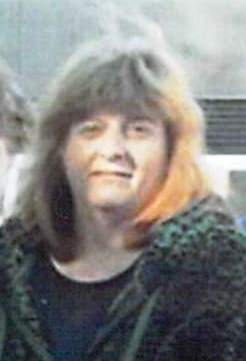 Paulette is survived by her son, Tasos Manalis of New Jersey and her daughter, Alyssa M. Ellison of Milford, CT, her brothers, Paul Ellison of Bridgeport, CT, Frank Ellison, Stephen Nitchke-Ellison and Jim Ellison of Milford, CT, her sisters, Irene Ellison and Cathy Ellison of Milford, CT and Edith Poidomani of Newtown, CT and several nieces, nephews, great nieces and great nephews and cousins. Funeral Services will be held on Friday, February 15, 2019 at 10:00 AM DIRECTLY at Our Lady of Peace Church, 651 Stratford Road, Stratford, CT, where a Mass of Christian Burial will be celebrated by Rev. Nicholas Pavia. Interment will follow in St. Michael’s Cemetery, Stratford, CT. Friends may call on Thursday, February 14, 2019 from 4:00 to 7:00 PM at the Galello-Luchansky Funeral Home, 2220 Main Street, Stratford, CT.